scrunchie to wear on your wrist or in your hair. Scarf measures approx. 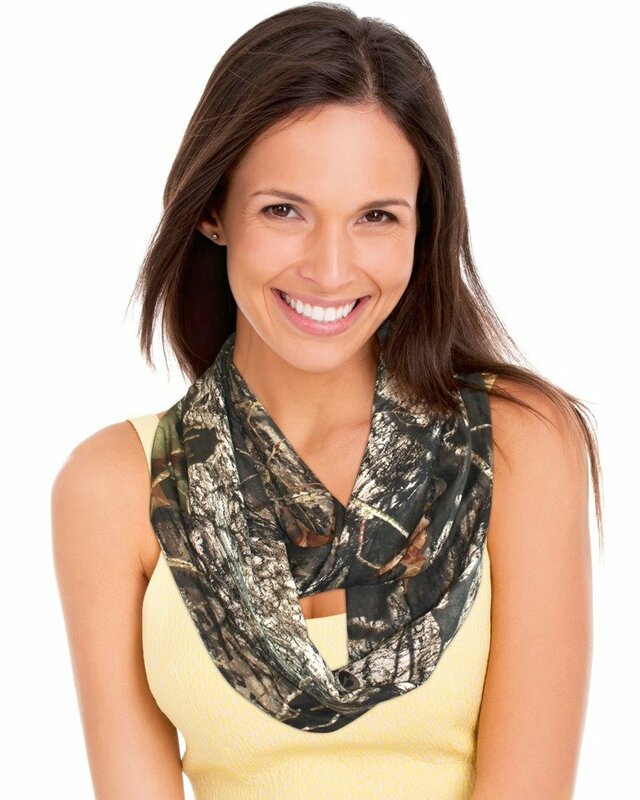 34" long by 10" wide with a circumference of approximately 64"
Officially licensed Mossy Oak Products. Quality made in the USA.